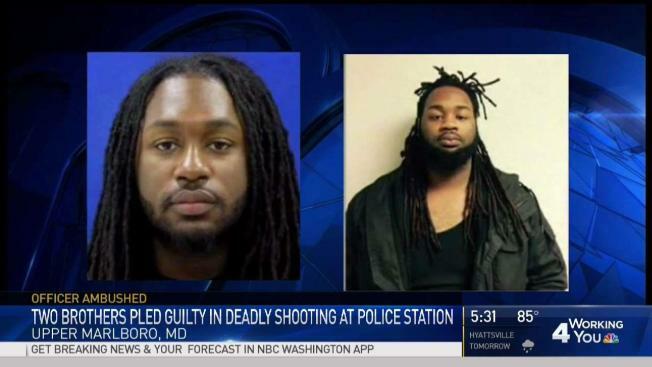 Two men who watched as their brother carried out an attack on a Prince George's County police station pleaded guilty Tuesday for their roles in the deadly shooting. Malik Ford pleaded guilty to attempted second-degree murder, use of a handgun in commission of a felony and conspiracy to commit first-degree murder. His brother, Elijah Ford, pleaded guilty to conspiracy to commit first-degree murder. Prosecutors say a third brother, Michael Ford, opened fire on officers on March 13, 2016. Officer Jacai Colson, who was dressed in plainclothes, tried to neutralize the shooter and was shot and killed by a fellow officer who did not recognize him. "They were OK with going to shoot and kill innocent individuals," Prince George's County State's Attorney Angela Alsobrooks said at a news conference. 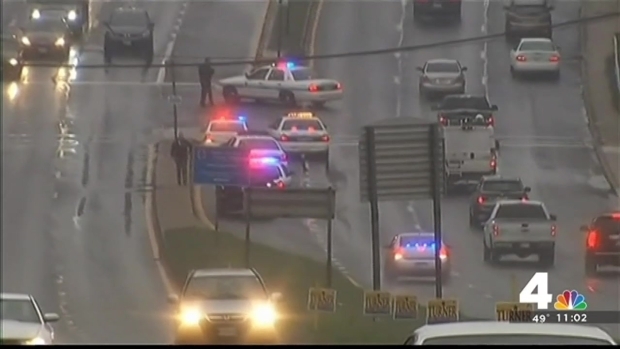 News4's Pat Collins reports from Prince George's County, where prosecutors say a grand jury indicted three brothers on 121 charges in the death of Officer Jacai Colson last month. Malik and Elijah Ford helped Michael Ford before and during the shootout and used their cellphones to record video of the gunfight, police have said. Michael Ford told Malik to send video of the attack to the entertainment website WorldStarHipHop.com and other contacts in his phone, police said. As a part of their plea agreements, Malik could be sentenced to a maximum of 20 years in prison while Elijah could be sentenced to a maximum of 12 years. Both men will be sentenced May 4, 2018. Michael Ford's trial has been continued, and new dates are pending. The guilty pleas do help ease the pain of losing Colson, said John Teletchea, president of the county's Fraternal Order of Police. "It does help. Closure, however it may come, is beneficial to healing," he said. On a cloudy Sunday afternoon, two brothers sat in a car in Prince George's County recording the "last will and testament" of their older brother, Michael Ford. Colson's parents said they would never be satisfied after their son was taken away from them.